Speaker: I'm speaking on behalf of John Lee Clark, who is a second generation deafblind man who’s also a poet, a Braille instructor and a family man with a wife and three boys. These are his words. I interact with hearing and sighted people all the time. Most of them are awesome and respond well when I do tactile gestures to communicate, but some are like deer caught in the headlights – they freeze. 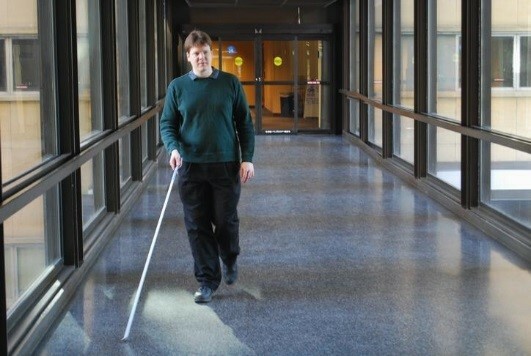 People with disabilities who are sighted are more aware of this. The Abled Gaze is most of the time invisible to me, but when you notice it, it can get into your head. For instance, I sometimes get unwanted “help,” like when someone thinks I must be lost because I'm walking along a wall instead of down the middle of a corridor. They don't know how to behave, except to try and correct what seems out of place. Abled people are so unacquainted with real people with disabilities. And yet we make up nearly a quarter of the total population. Sometimes I get unwanted help. I’m walking along a wall instead of down the middle of a corridor, and people think I’m lost, and so they to try and correct what seems out of place. Abled people are unacquainted with people with disabilities, yet we make up a quarter of the population. Minneapolis writer and activist Bill Burleson has published short stories in literary fiction, and recently completed “Avenue of the Lost and Found.” He has also written numerous nonfiction works, including “Bi America: Myths, Truths, and Struggles of an Invisible Community.” As a community activist, Burleson is a a regular speaker and workshop facilitator at LGBT conferences and events, founder of the Bisexual Organizing Project, and co-founder of the weekly Minneapolis cable access television show, BiCities! This story was produced for KFAI by Dixie Treichel. On this episode of The Live Feed we bring you “Over The Back Fence”, a Community Variety Show recorded at the St. Mane Theatre in historic downtown Lanesboro and hosted by Damon Prestemon. The theme for June is “Bling”. You’ll hear Songs from like “Diamonds and Pearls”, “Rhinestone Cowboy”, and “Silver Thread and Golden Needles” and be entertained with original skits, jokes, trivia, music and fun. June’s musical guest is Ryan Lee and Allison Alden, Lee is a musical storyteller-folky-innovator, and guitar-wielding poet. 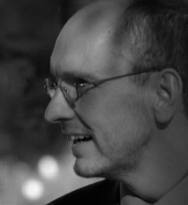 Alden is a cellist and vocalist from Lanesboro. Both have performed with The Commonweal Theatre.